N ot crazy about the sheen/finish. Cotton looks a little like polyester. Response from Charles Tyrwhitt: I am sorry to hear that your recent purchase was not quite as expected, this should not be the case with our Chinos as they are 98% cotton. This appearance may simply be due to the fact that the trousers are brand new, so you should find a change after washing- though please do let us know should they be unsuitable, and you are of course more than welcome to return or exchange. Response from customer: Thank you Rachel. I will try that out and be back to adjust my rating if that works out or will be in touch to exchange. I have had an excellent experience with all your other products for many, many years and am not a disgruntled customer - just this time they were a little different than my personal taste. Thanks. Response from Charles Tyrwhitt: It is a shame that your new chinos were not the very best fit for you causing you to exchange them for a Classic Fit. 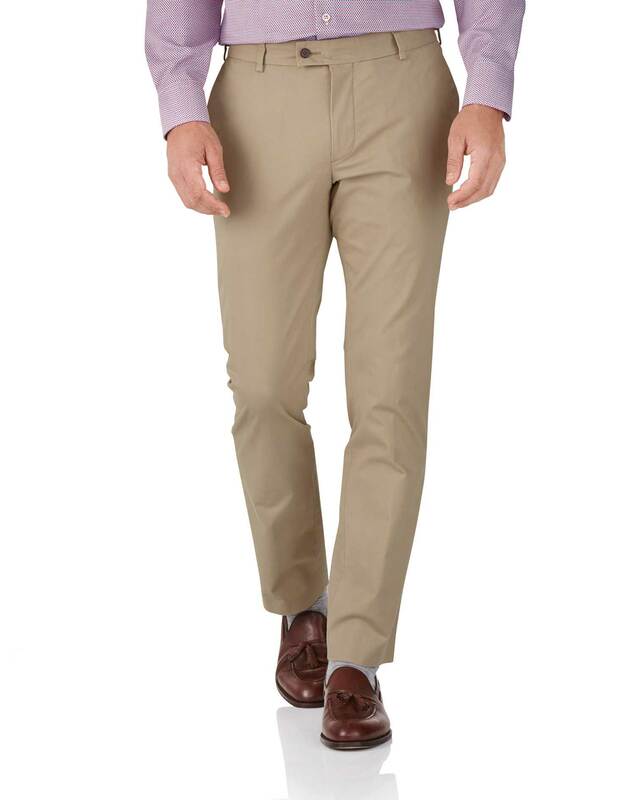 Nevertheless, we do hope the new chinos will be a more suitable fit and are thoroughly enjoyed! Very nice material, all season wear, dresses up or down. My husband would prefer outside hook versus button, a little hard to button.